The evenings are drawing in and the chill winds whistle around the door. It can only mean one thing! Yes, gentle reader, it’s time to take a look at how Northern Ireland’s archaeological consultancies fared in 2016. As I’ve done before, the data from their end-of-year accounts, submitted to Companies House, has been extracted and used to create an interactive dashboard that the reader can investigate and interrogate at will. 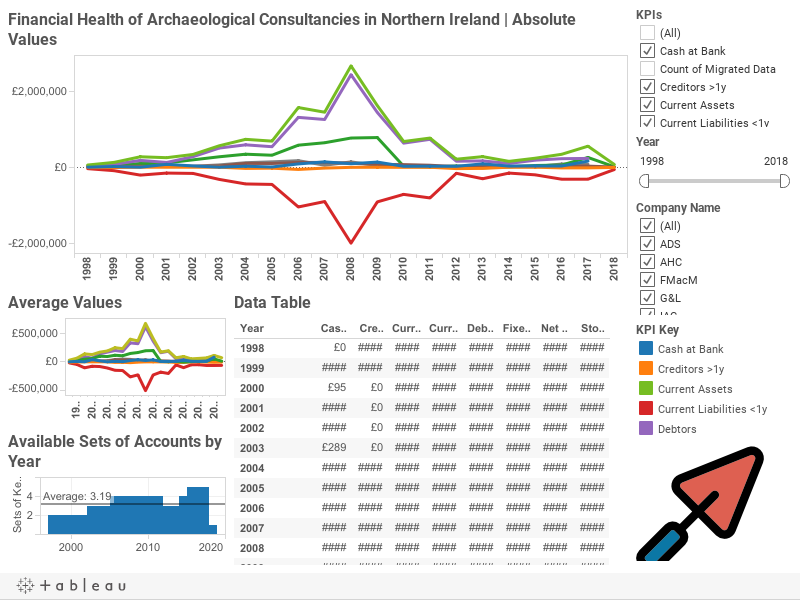 As Archaeological Development Services (ADS) have been dissolved, and play no part in the current archaeological scene in Northern Ireland, we’ll not deal with them further, other than to note that their data remains available within the dashboard. Gahan and Long was formed in 2002 and is run by Chris Long and Audrey Mary Louise Gahan. In 2016 their Cash at Bank increased marginally to £7.2k from £6.2k the previous year. This appears to be part of a continuing, gentle rise from £2.3k in 2013, but far below historic values of over £82k in 2006 and £68k in 2007. Current Liabilities coming due within one year has increased from -£92.8k in 2015 to -£129.2k. This is the most it has been since 2008’s figure of -£144.9k. The value of Debtors has risen to £123.1k from £81.4k the previous year and appears to be part of an ongoing trend since 2013’s figure of £24.8k. However, this is well below the figure of £374.4k for 2008. The value of Fixed Assets (such as land, buildings, or equipment) had been on a continuous downward slope from the £37k recorded in 2007 to 2015's £6k. However, the 2016 accounts indicate an increase to £10.8k, suggesting that there has been an investment back into the company, the first in nine years. The value of Current Assets has been increasing year-on-year from £27.2k in 2013 to £130.3k in 2016. While this ostensibly has the look of increasing prosperity, it should be remembered that 94.44% of this figure is composed of the value of Debtors (Debtors as a Percentage of Assets). Basically, the value of the Current Assets includes a vast proportion of assets you don’t yet have and until you’ve got that cash in your pocket you can never be sure it’s yours. Of course, some value of Debtors is necessary for the running of a business, but when it makes up an excessively large percentage of your Current Assets, it’s wise to exercise some caution. This brings us to New Worth, the only Key Performance Indicator (KPI) that really matters. Although the company is only worth a modest £10.5k in 2016, this is up from £590 the previous year and an historic loss of -£70.1 in 2013. While the Net Worth is heading in the right direction, it is still massively down on the best performing years, such as 2007 (£280.4k) and 2008 (£258.9k). This company was set up in 2005 and is operated by Christopher John Farrimond and Ciara Mary MacManus. The value of the Cash at Bank has plunged to £12.4k, from £18.7k the year before and an historic high of £85.8k in 2013. Current Liabilities are given as -£57.7k, an increase from 2015's -£34.9k, but still well below the 2013 value of -£90.5k. The value of Creditors falling due more than one year from now is given as -£18.1k, possibly indicating that a business loan has been taken out. This is an historically large amount for this company as previous values hover in the region from -£1.2k to -£3.4k (2008-2011) and this is the first such entry since 2013. This is paralleled by an increase in the value of Fixed Assets to £15k, suggesting that this was a loan to invest in, say, equipment. This is encouraging as the Fixed Assets were valued at nill in both 2014 and 2015, and hadn’t exceeded £500 since 2011. The value of Debtors has fallen from £55.7k in 2015 to £26.1k in 2016. These results have been quite choppy since 2012 and it is difficult to discern a pattern. The value of Stock/Other is given as £27.7k, but I am unable to discern its precise nature. Current Assets have fallen somewhat from £74k in 2015 to £65k now, and are significantly below the figure of £151.7k recorded in 2013. Perhaps more importantly, the percentage of those assets made up by the value of Debtors has dropped to 40.02% from 2015’s 74.83%. For all that, the company’s net worth has plummeted to £4.5k, its lowest on record. This is down from £39.4k in 2015 and £90.5k in 2008. Alan Reilly, Stephen William Gilmore, and Colin David Dunlop are the directors of Northern Archaeological Consultancy, founded in 1997 - the only archaeological company in this discussion without female representation at Director level. At the end of 2016 they posted a Cash at Bank value of just £1.8k, down from £2.6k the previous year, and falling so far short of the £49.5k recorded in 2007. Current Liabilities have increased from -£68.4k in 2015 to -£101k. This is comparable to the 2013 value of £108k, and well below the 2006 maximum of -£137.7k. In this year Debtors rose to £85.3k from £47.8k in 2015. This is the first time that the value of Debtors has exceeded £80k since 2011. The value of Fixed Assets increased marginally to £3.8k from £3.4k in 2015. Despite slight increases in value, such as in 2014, the story of the Fixed Assets appears to be one of continued non-investment from 2012 onwards, following a slump from 2007’s historical high of £20.9k. Company value under the heading of Stock/Other rose to £57k in 2016, up from £17.9k the previous year, the highest it has been since 2008. Current Assets are also up sharply from £68.4k in 2015 to £144.3k. However, it remains to be seen if this is evidence of a genuine recovery, or just another slight bump in the general pattern of slump and stagnation that has been ongoing since 2007’s value of £308k. Again, it is worth noting that the 2016 figure sets Debtors as a percentage of Current Assets to 59.16%, down from 69.91% the previous year. It’s still a high percentage, but one that appears to be heading in the right direction. Net Worth for 2016 was recorded at £47.1k. While the progress from 2011’s historic low of -£23.7k has been very much a story of up-and-down-again, the general trend is towards increased New Worth. However, just to put that £47.1k into context – it is but a tiny fraction (less than 1/4) of the company’s 2007 value of £200.6k. Since I last wrote on this topic, another company has entered the market in Northern Ireland. Archaeology and Heritage Consultancy Ltd is run by Lisbeth Sara Crone and was incorporated in 2014. 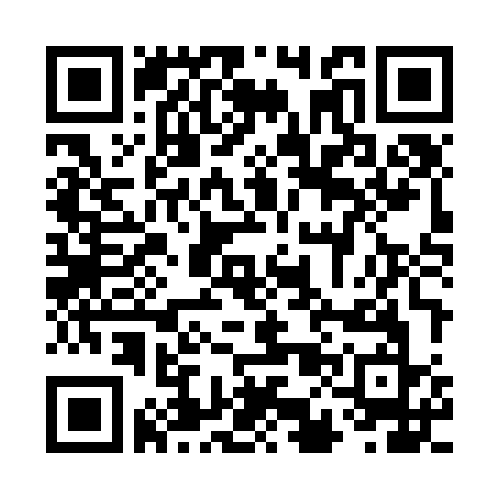 Accounts are available for both 2015 and 2016. In terms of Cash at Bank, the company recorded a value of £5.9k in 2015, rising to £9.9k. In the same time period Current Liabilities coming due within one year have grown from -£4.9k to -£15.7k. Debtors have risen to £12.3k in 2016, from £725. The Fixed Assets are modest, only being valued at £566 in 2016, and at nill the year previous. Current Assets have done well, rising from £6.7k to £22.2k in 2016. Not surprisingly, the Debtors as % of Current Assets has risen from a mere 10.79% in 2015 to 55.45% this year, well within what would be considered normal for this group. Finally, the Net Worth for this company had grown from 2015’s £1.7k to £7k today. If we sum all of this data up we get a picture of the sector as a whole. In the first instance, the Cash at Bank figure of £31.5k has remained pretty constant since 2014, but far below historic highs of 2007 (£140k) and 2009 (£135k). Current Liabilities of -£303.7k are on a steep increase since 2014’s return of -£154.7k. Indeed, the 2016 figure is just a couple of hundred pounds short of 2103’s maximum historic debt of -£303.9k. The 2016 returned figures for Debtors is given as £247k, representing a year-on-year increase since 2014’s figure of £98.6k. Fixed Assets show a substantial increase to £30.2k from a mere £9.5k the previous year. Indeed, this is the first evidence of inward investment in the sector since 2007 – almost a decade previouly! The figure of £362k for 2016’s Current Assets also shows sustained growth from 2014’s return of £154.3k. Value attributed to Stock/Other is given as £83.7k for 2016, the highest it has been since the 2008 peak of £140k. Thus, we come to the combined Net Worth of the commercial archaeological sector in Northern Ireland and it is worth stating the full, unabbreviated amount: £69,307. These latest results show steady growth from 2013’s historic low of -£14.9k, but is paltry compared to historic highs recorded in 2007 (£515k) and 2008 (£537k). Optimists may argue that ‘things are getting better’ in the commercial sector, and there is a grain of truth in that. However, realists can only be appalled at how far the value of the sector has fallen and how little and how slow the recovery from the 2008 collapse has been. For much of the world economy the massive fallout from the ‘Credit Crunch’ is a distant memory and the story since is one of regrowth and recovery. 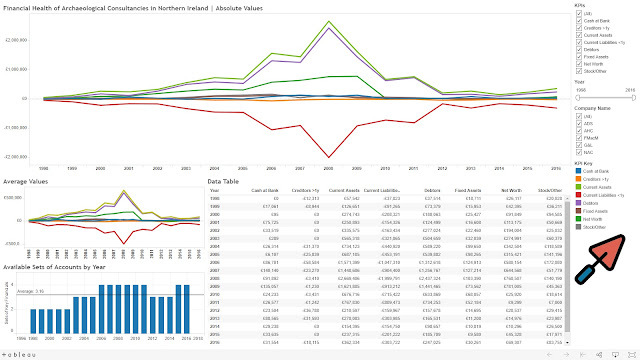 For commercial archaeological companies in Northern Ireland there has been no significant recovery and the endless night of the recession is only slowly lightening, nearly a decade later. To put this into as clear a context as I can manage – the 2016 value of the sector is not even worth 13% of what it was in 2008. Let that sink in. Take all the time you need. The entire sector is only worth £69.3k. The entire sector is only worth £69.3k. No, that’s not a typo – I deliberately repeated the previous sentence so it would resonate with the reader. If the combined Net Worth of the archaeological consultancies in Northern Ireland was available as cash, it couldn’t buy a 3-bedroom house on Tates Avenue or in Poleglass, Belfast, or even a 2-bedroom house off the Donegall Road - none of which are among the more salubrious areas of the city. In 2006, a decade previously – not even at the top of the ‘boom years’ – the sector was worth over £287k. To have fallen to this seems so ... well, paltry ... by comparison. It must be noted that the current value of the sector is not spread equally between the extant companies. My former employers, Northern Archaeological Consultancy, take up the lion’s share of the value at £47.1k. That’s nearly four-and-a-half times the Net Worth of Gahan & Long, their nearest rival. To put it another way, they account for 68% of the worth of this sector. It sounds good, but I’m reminded of a line by Frankie Boyle: “It’s like being voted the Most Valuable Player … in the Scottish League”. Overall, I see little to celebrate here. True, the sector is doing better than it has been, but the fact remains that almost a decade after the financial crash it is but a shadow of its former self. Of course, this series of posts has never just been about the actual financial health of these companies. The deeper question is: What can the financial status, either individually or as a group, tell us about the long-term security of the archaeological archives they hold? To be honest, despite the very modest growth, I cannot see that either the sector or the archives they hold are in any way secure. Looking to the future we may ask 'What can we expect from 2017?' I would not be in the least surprised if the sector continues its slow, tortuous climb back from the distant recession. However, it is clear that this is a sector hanging on by its fingernails and it seems that it would require very little for one or more companies to topple over into insolvency and the havoc that would mean for our shared heritage resources. The interactive Tableau dashboard is available below, but may be better viewed directly on my TableauPublic page [here]. It is also best viewed in FullScreen mode - toggled by the icon at the bottom right of the page.